The much anticipated ‘This Wild Life’ has hit TV screens in Norway. 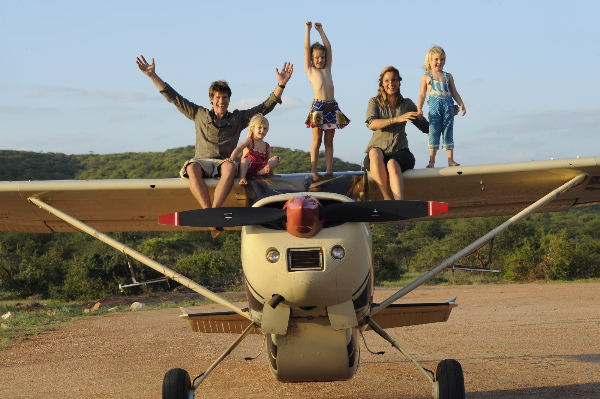 The ten part BBC series starring Saba Douglas-Hamilton, daughter of well known elephant conservationists, Iain and Oria, gives a glimpse of the exciting life and conservation work in the bush with her husband, Frank Pope, and their three young children. Filmed in Samburu National Reserve, the series captures the cutting edge science done by Save the Elephants which includes collaring, monitoring and collecting data from the Samburu herds – the most closely researched group of elephants in the world. Also featured in the documentary is Elephant Watch Camp, the unique eco-luxury camp created by Oria, which Saba runs in between saving elephants, being a filmmaker, conservationist, loving mum and wife. We welcome all our Norwegian friends to come and experience ‘This REAL Wild Life’ in Samburu, Northern Kenya first hand and spend some days at Elephant Watch Camp. Don’t miss this once in a lifetime chance!